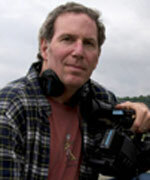 Daniel H. Birman is producing Chasing Speed, a one hour special for Velocity. The program is about Leslie Porterfield, who has broken several world records as the fastest woman on a motorcycle at the legendary Bonneville Salt Flats. Recently he completed, Me Facing Life: Cyntoia’s Story for Independent Lens on PBS and was shown as part of the ITVS Community Cinema program, where it was screened in 98 cities around the country. This is a documentary about a 16-year-old girl who serving a life sentence for murder. Birman gathered interviews for over six years to present the complex social issues behind this story. Just prior, Birman produced the acclaimed documentary, Brace for Impact: the Chesley B. Sullenberger Story for TLC, which also aired on Discovery. Birman had the exclusive story about the pilot of Flight 1549 who landed his aircraft on the Hudson River and 155 people walked off. Earlier, Birman produced several hour-long programs for Nat Geo, Science, Discovery Health, Nickelodeon, and others.